I have a very straight forward and down to earth approach to marriage & family therapist. I focus on the strengths of a marriage instead of the weaknesses. As we work together, we will focus on improving productive communication. What about your relationship do you love? What makes you happy? What makes you crazy? I will help you learn to open up to your spouse with confidence and listen without anxiety. I always feel honored whenever I am invited into a marriage to assist in rebuilding, repairing and strengthening it. I believe in never giving up on commitments and honoring them to the fullest. This goes for your relationship and my relationship with you. I promise to bring that same level of commitment and persistence as we work together to get your marriage back to where it once was. I love solving complex problems, no matter how challenging. Marriage isn’t always easy, which I know first hand having been married for 30 years. But when both sides can explore what’s working and not working in the relationship, I can help couples find a solid path for moving forward and grow closer than ever before. “Family” is defined by the modern family therapist as anyone who plays a long-term supportive role in one’s life, which may not mean blood relations or family members in the same household. 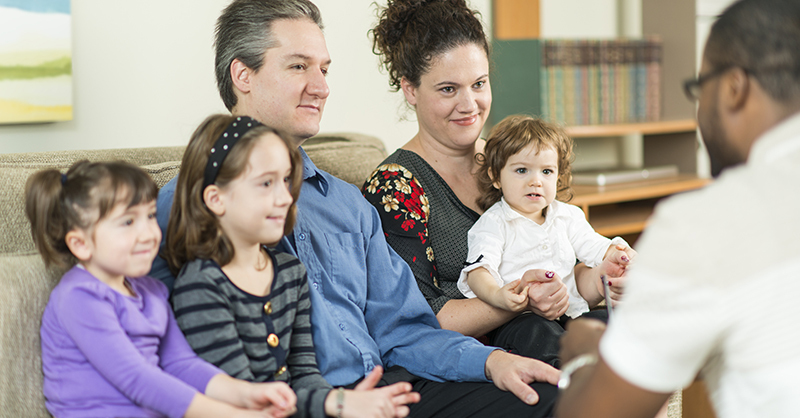 Family relationships are viewed as important for good mental health, regardless of whether all family members are participating in the therapy. It is an ideal counseling method for helping family members adjust to an immediate family member struggling with an addiction, medical issue or mental health diagnosis. It is also recommended for improving communication and reducing conflict.